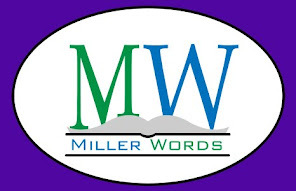 MillerWords is proud to announce the first new release of this holiday season! About the book: Nothing can prepare you for the profound grief and sorrow you will feel at the loss of a loved one. Only God can provide the help, comfort, and strength needed to recover and feel whole again. Through his serene words of consolation and reassurance, a spectacular transformation from heartbreak to peace and tranquility can heal your soul and change your life completely. About the author: Freida Edwards grew up in the small southern town of Mineral Springs, NC. She was a teacher for 31 years in the local school system. She was an avid caregiver to her father and mother. Her passion has always been writing. As a teacher she published a plan book which was sold nationwide. 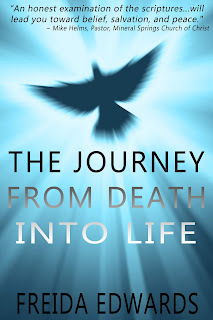 With a lifelong study of the Bible, her first book, THE JOURNEY FROM DEATH INTO LIFE, explores what the Bible has to say about life after death. It was written to give encouragement to those facing death or the loss of a loved one. She has also published pamphlets to hand out to others telling them about Jesus and their need for a Savior. Along with her sister she published a monthly paper called WORDS OF LIFE© 2014 which dealt with experiences in caring for elderly parents and words of wisdom from them in their old age. and all major eBook platforms now!